“Megan is an awesome girl, she’s outgoing, smart, and above her years in age,” is how her mom, Paige, describes her. She’s bubbly, artistic, and learning to be a photographer. She loves to paint fingernails and she’s quite good at it, even better than some manicurists. Megan is 16-years-old and just finished her freshman year of high school. The year has provided some new challenges to a girl that looks different from most of the other kids. Megan has alopecia areata. She has no hair on her head or body. It is not known what triggers this condition, but it is due to inflammation around the hair follicle that prevents the hair from growing. It’s often patchy on the scalp, but can involve any area with hair. There are treatments available, but they are limited and there are no cures. Losing her hair when she was 12 was difficult, but it grew back with treatment; although she lost it again. 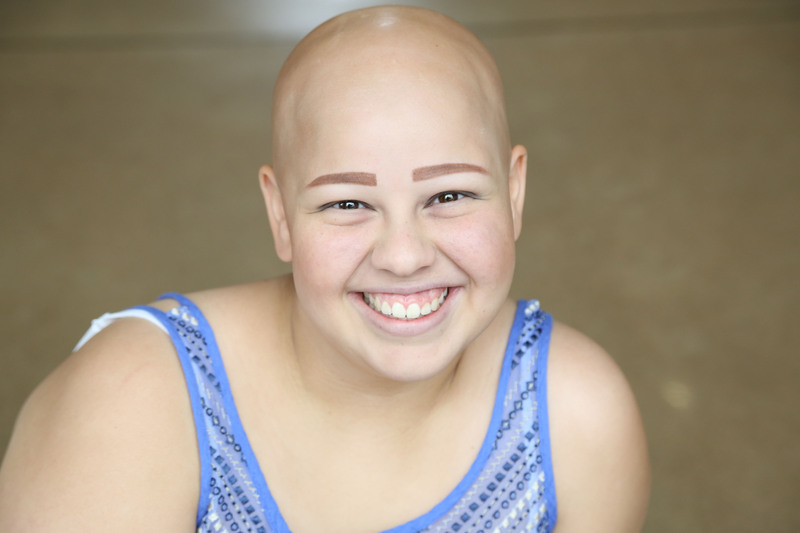 When she was 15, her dad told her it was time to shave her head and she broke down in tears. She has learned the blessings and challenges of alopecia. A Children’s House for the Soul offers a safe, loving place to share stories and find other kids who are unique too. Megan attended the “Love the Skin You’re In” conference and loved meeting other young people with her condition. When Megan was out of the conference room during a break, another younger girl without hair came into the room for the first time. When Megan returned, the younger girl looked at her with the biggest grin on her face. She looks like me. She felt accepted. She fit in. Paige also enjoyed the conference. “I loved the Christian speakers with scripture, bringing God into it,” said Paige. She appreciated that everyone saw each other for who they are, not just what their outward appearance may show. Paige and Megan wish more people with alopecia, often mistaken for cancer treatment, would come out and share their condition. Megan is happy to share her story, if only people would ask.